The McScribble Salon: Why Do We Love to Read? 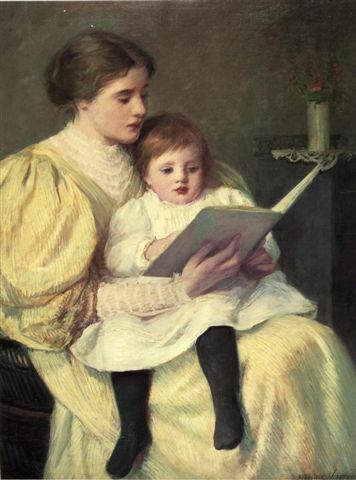 Before I was old enough to go to school, my mother would tuck me into my bed at night, sit down beside me, and open a book. I would follow along with her, looking at the brightly coloured drawings, and listen to every word. The hieroglyphics under the pictures were impossible for me to decode, but my mother's voice and the action on the page assured me that great adventures were occurring right at that moment. The question that circulated through my brain was, 'what happens next?' The suspense was thrilling. If I chose a book I knew by heart, the suspense factor intensified because, even though I knew what to expect, I anticipated the glorious sense of reassurance that all would be well. Some nights, my father would tell me a story. He never needed a book for assistance. He was an extempore storyteller, making it up on the fly, winging it, and elaborating with his collection of strange voices. He usually added humour, which made me think of comic books. My dad was usually busy, writing stories for a newspaper, so those moments with him before I went to sleep were lovely. When I was finally big enough to go to school, I was able to read. Learning became fun for me because I didn't need to struggle with the words on the page. My curiosity about any subject could be satisfied with a few hours sitting with a good book. Knowledge of every kind, at my level of understanding, was now available. My vocabulary grew and my spelling improved. Small steps at first, but reading became a worthwhile endeavour when I needed to improve my grades. The best reason for reading became obvious to me when I began reading for pleasure: I discovered my imagination had no bounds. The first grand books I read were The Three Musketeers and The Wonderful Wizard of Oz. Both books involved the adventures of four characters who form a special bond of friendship. Athos, Porthos, Aramis, and d'Artagnan fenced their way through the streets of Paris, shouting "all for one and one for all." They were great friends who made me want to learn how to sword fight. The adventures of Dorothy, Scarecrow, Lion, and Tin Man sent me off into a magical world of Good Witches, Wicked Witches, Winged Monkeys, and Munchkins. Several episodes caused me to chew my gum faster than normal. When I closed the book, I didn't want my own lion or tin man or silver slippers; I wanted more stories. Those books rocked my imagination, hooked me for life on the joy of reading, and motivated me to get a library card. Huckleberry Finn settled nicely into my book bag, and then Little Women arrived, followed by Heidi, and A Christmas Carol. 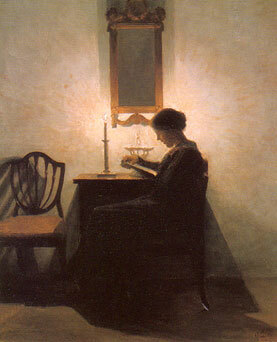 Years later, Victorian novels entered my consciousness, and I couldn't get enough of Jane Austen and Charlotte Brontë. We create a special bond that grows with each loved book we share with friends. Books take us on amazing journeys into knowledge, philosophy, mystery, and love as they quench the thirst of our curiosity. I bet you remember that first book from your childhood that carried you away to a rich land of wonders.